The 2019 Champion Racing Oil/RM Racing Lubricants Central PA Sprint Cars were rained out at Williams Grove Speedway on Friday night March 22nd. Saturday March 23rd the rain stopped but the weather was cool. Lincoln and Port Royal Speedway both managed to get their shows in. 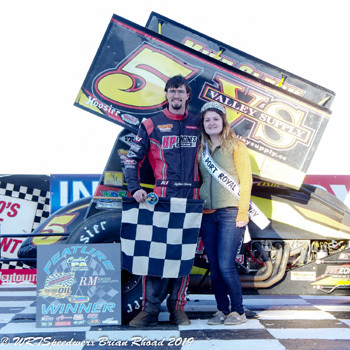 It was opening day for 2019 at Port Royal Speedway and Dylan Cisney passed race leader Anthony Macri on the last lap for is first win in a few years. Saturday at Lincoln Speedway Alan Krimes took the win for his first in almost two years also. 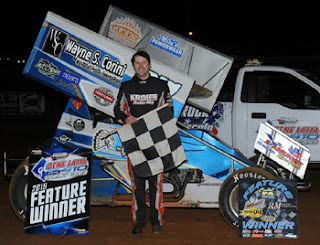 The series continues this coming weekend with Williams Grove Speedway on Friday night March 29th. On Saturday March 30th Port Royal Speedway and Lincoln Speedway both have shows once again. Lucas Wolfe moved back to the front of the points over Danny Dietrich and Ryan Smith.